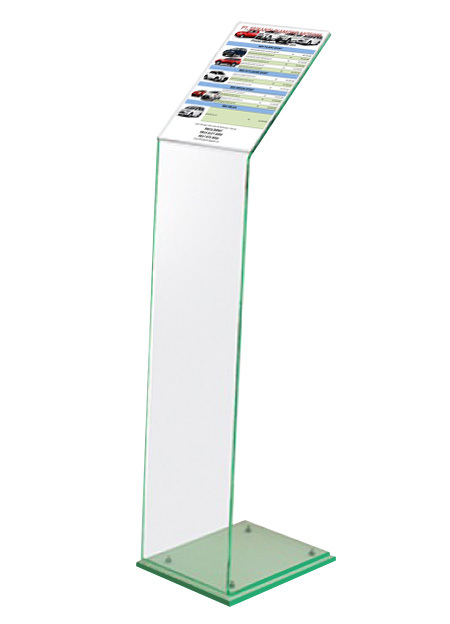 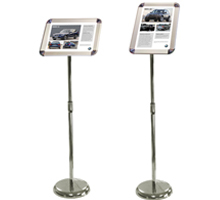 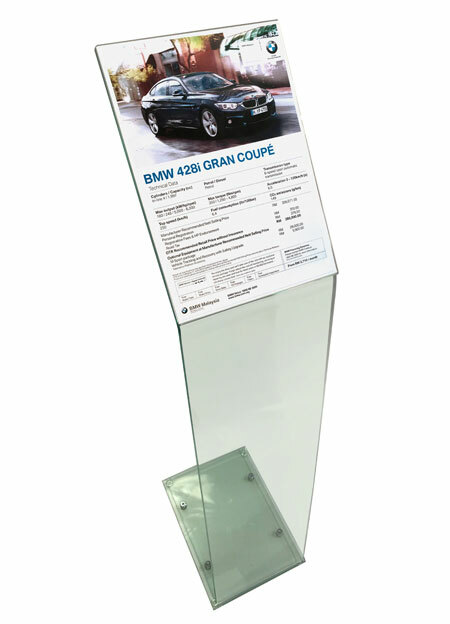 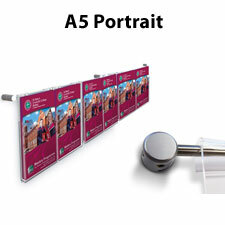 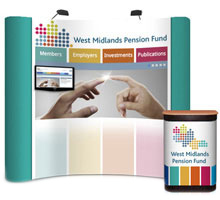 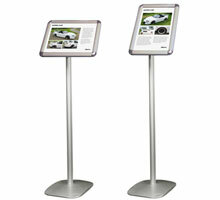 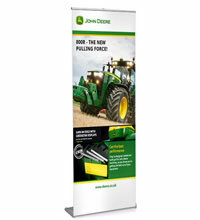 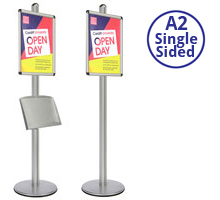 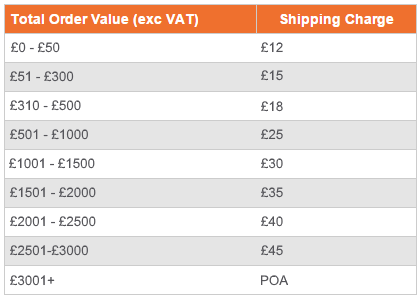 The free standing silent salesman is perfect for displaying A4 product specification sheets making them popular with car showrooms & dealerships. 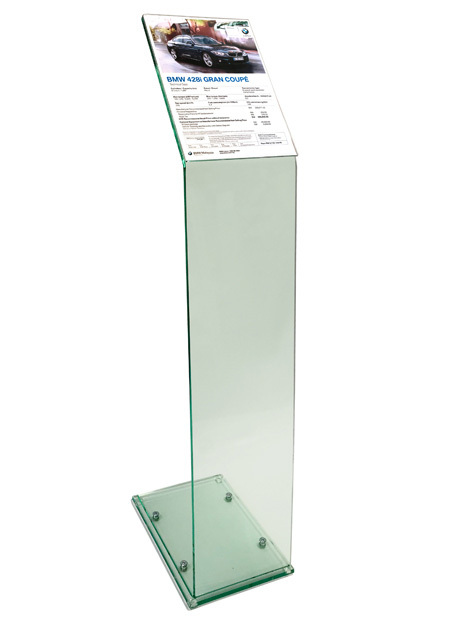 Single sheets, which can be printed in-house, are sandwiched in between 2 pieces of clear acrylic. 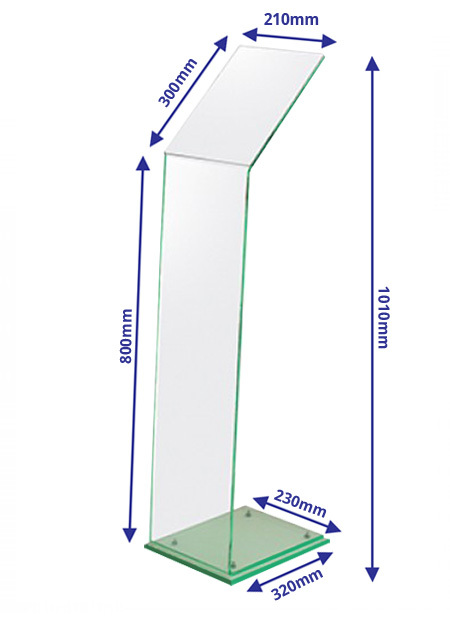 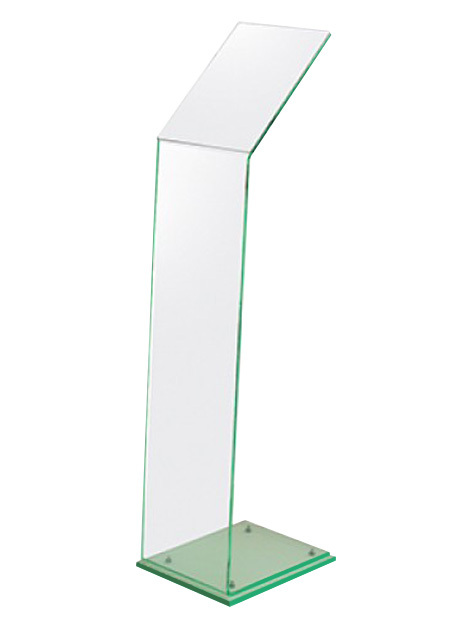 The 10mm thick base and 8mm thick upright are made from clear acrylic which has a elegant green tint.